Book your Byron Bay Beach house holiday now! 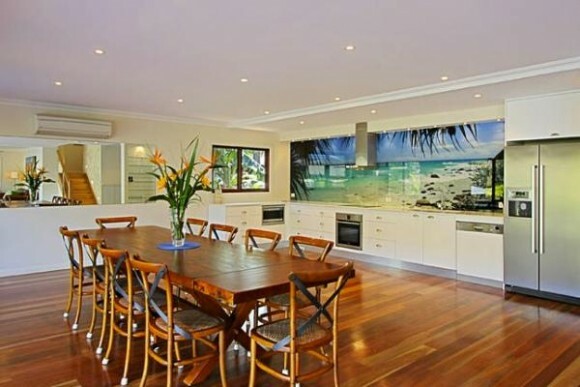 With summer nearly upon us, why not book your family holiday in Byron Bay and stay in one of our classic beach houses. Byron Bay Holidayz has a variety of Beach houses available over summer as well as other types of accommodation, including motels, apartments, resorts, villas and Byron Bay cottages. All our beach houses are located within an easy 5 minute stroll to one of Byron’s beaches. There is a range of holiday houses and apartments on offer. Byron Bay budget accommodation in the heart of town, like Byron Break or Glen Villa to five star luxury in one of our holiday houses like Ayindi or Away on Shirley, which is perfect for the extended family holiday. The town of Byron Bay is surrounded by water on three sides and has many beaches to choose from, depending on the weather. Starting to the north of Byron Bay is ‘Tyagarah’ beach, which is a remote beach and is clothes optional. Access is just north of Byron Bay via Grays Lane. ‘Belongil’ Beach, just south of Tyagarah, stretches south of Belongil creek to the rock wall in Byron Bay. This beach is partially dog friendly and has great snorkelling and surfing at ‘The Wreck’ – SS Wollongbar. ‘Main’ Beach as the name suggests, lies directly in front of the town and is patrolled by surf life savers. Between ‘Main’ beach and ‘The Pass’ is ‘Clarkes’ beach, which is also great for snorkelling and is protected from wind, except for the north, so great for families. ‘The Pass’ is one of the most popular surf breaks in Byron Bay and offers long rolling waves when the surfs ‘on’. Just over the headland is north facing ‘Wategos’ Beach, famous for long board riders. ‘Cosy corner’ on the south side of Cape Byron headland, offers protection for surfers and swimmers from northerly winds. ‘Cosy Corner’ heading south to Broken head is ‘Tallows Beach’ which is more of an open ocean beach, which is also dog friendly on the southern end. So book your Byron Bay Beach house holiday now at Byron Bay Holidayz while we still have availability.